Wednesday 28th May 2014 – 10.15am – Suzie Fothergill. 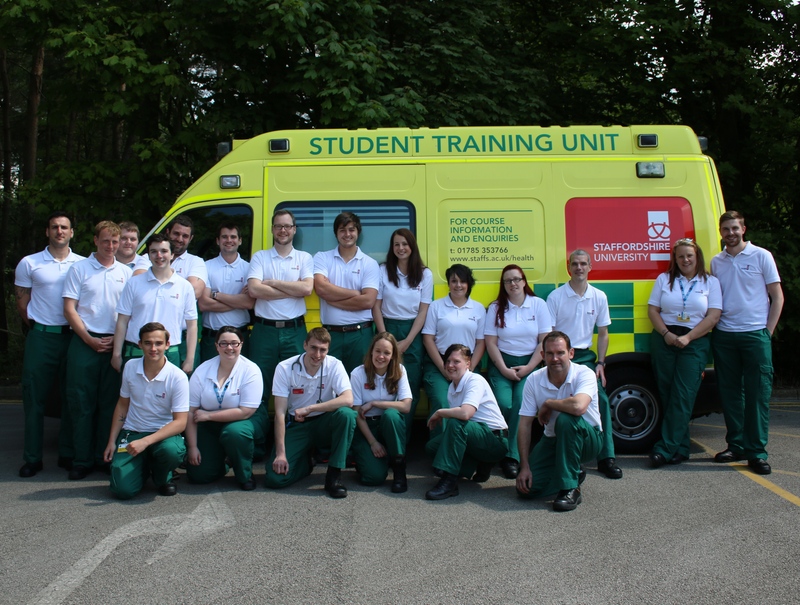 Student paramedics at Staffordshire University will be able to experience patient-handling and care skills in a fully-operational ambulance, which has been kitted-out to bring the highest level of reality to the student experience. The ambulance, previously in operational use with the West Midlands Ambulance Service, has been purchased by tutors for the two-year Foundation Degree in Paramedic Science in order to bridge the gap between theory and practice. 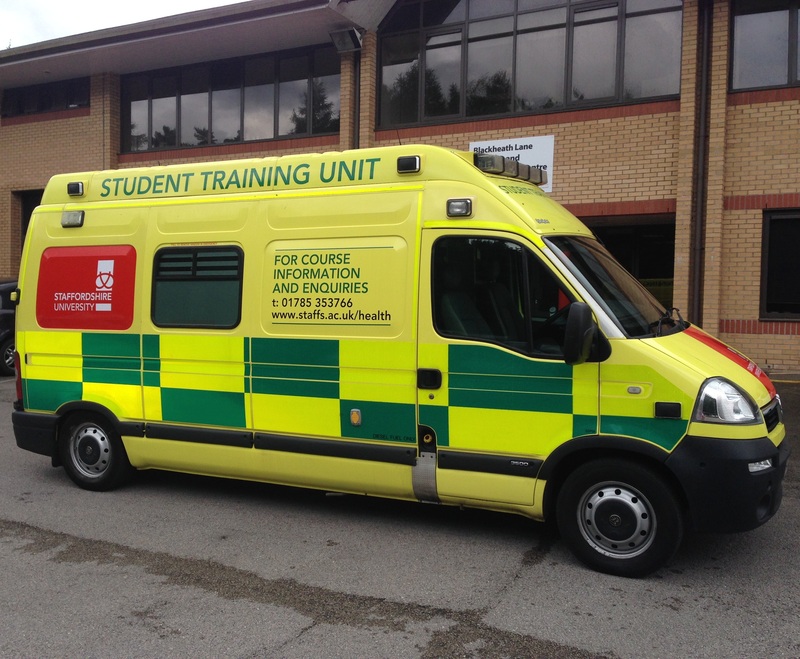 The ambulance will not be used for high-speed driver training but occasionally it will travel around the Staffordshire University campus at slow, safe speeds while students learn on board. Believed to be the first fully operational learning ambulance at a UK university, it will also allow student paramedics to fully participate in disaster and accident scenario days with other emergency services which are already fully integrated within paramedic training at Staffordshire University. 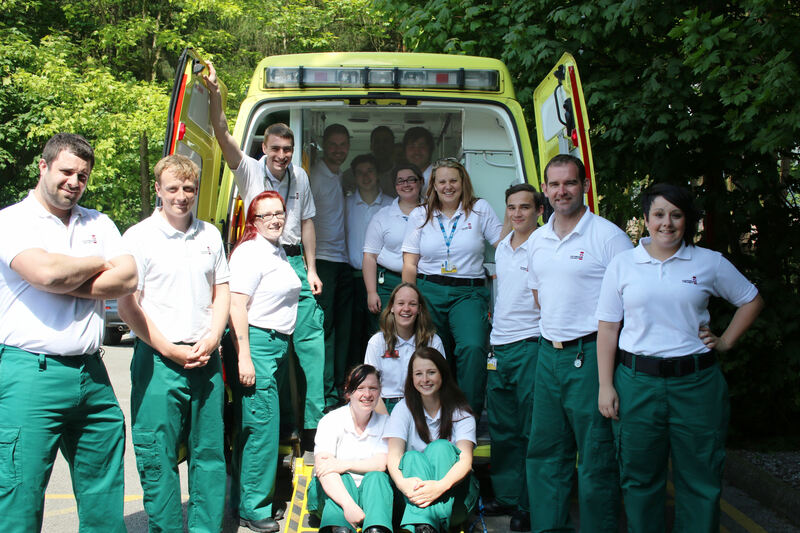 The Foundation Degree in Paramedic Science is a two-year course accredited by the Health and Care Professions Council. It is designed for people interested in pre-hospital emergency care; who want a career as a paramedic or want to progress onto a Paramedic Science degree.